I created Brynux OS to experiment selling a physical product. I no longer need to sell the sticks so you can download the OS for free intead. 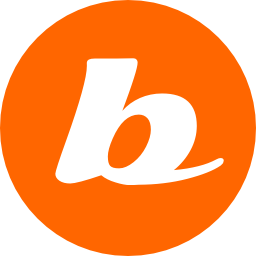 A version of brynux or Fedora installed on a computer or live USB stick with persistent overlay so you can install required packages (ie; a brynux stick). Or, just burn the ISO to a DVD and boot off that. Note: Windows, OSX and other versions of Linux can use UNetbootin to install Brynux to a USB stick. All the changes in Fedora which are heaps. Way faster but no more 32bit version cause Google Chrome no longer supports it..
Brynux stick now dual boots 32-bit and 64-bit versions off the brynux stick so older PCs can run off a Brynux stick too. Added Resynthesizer and Elsamuko GIMP plugins that can do amazing transformations to your photos. Watch the short video tutorial here. Removed the Welcome screen from the Live boot. Get's annoying after many boots. Added Libre Office suite for creating dicuments, spreadsheets, presentations and more. Created additional 32-bit version of Brynux for users with older PCs. Download the latest i686 or x86_64 iso. The size is around 1GB. If you just want to burn brynux to a DVD so you can install it on your computer then you can do that and ignore the rest of these instructions. Install the required packages by opening a terminal, change to root user and type "yum install livecd-tools qemu-kvm kernel-headers -y"
Delete the partition that is already on the USB stick by pressing d.
Then create a bootable Fat32 5GB BRYNUX-OS partition for our 1GB brynux iso with about 4GB of persistent overlay. OK; writing new GUID partition table (GPT) to /dev/sdb. The reason that we put the BRYNUX-OS bootable partition as the second partition is so the USB-DRIVE partition is accessed first by other OSes like Android or Windows. The only difference with a purchased brynux stick is that you won't have the micro-usb connector on your USB stick that connects to smart phones.